Coke or Pepsi? Day or night? Cats or dogs? We all have our favorite brands, colors, and yes – animals. While you may not see every household with a domesticated elephant or penguin roaming around, it’s safe to say you’ll find at least one cat or dog in the mix. Some people are loyal dog lovers while others take the Egyptians advice and worship cats. But what if you love both? It’s no secret cats and dogs don’t always get along, but does it have to be that way? If you’re thinking about adopting a new kitten or puppy into your home and are worried about your existing pet, we’ve got you covered. 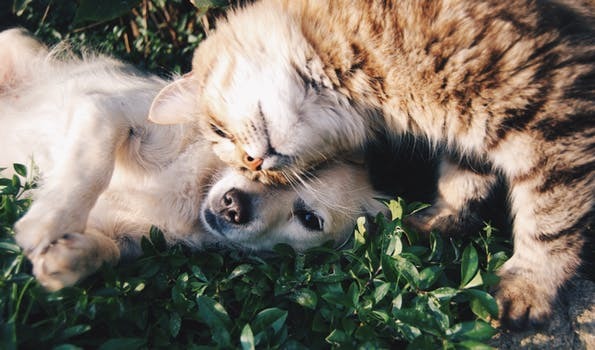 We have some tips on cats and dogs getting along. Keep reading! One of the easiest ways to get both your furry friends to get along is to raise them together. If you’re planning on adopting one or the other, opt to adopt both! Make sure they are near the same age as it’s easier to train your pup. While your pup is easily trained at this age, your kitten will be a similar size, helping it feel as though it’s at the top of the pyramid. Even though you’ll have a better chance of them getting along from a young age, make sure to watch them and ensure everything goes okay. Continue to watch how they interact especially during your pups rowdy stage before they get fully grown. If you already have a pup and are ready to bring in a new kitten, consider desensitizing your dog. To do this you’ll have to teach them how to control their impulses. Dogs have a natural prey drive which causes some excitement when it comes to other animals. 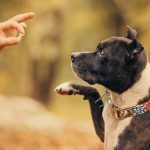 You can get a qualified behaviorist to help you calm down your pup, though be aware it might take some time. 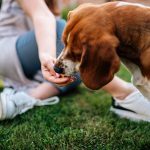 You’ll essentially be trying to make your dog bored of cats, which will need time and patience. 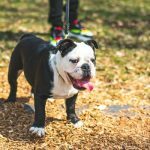 Until you can help your pup slow down when it comes to his urges you should hold off on introducing your new family member. Once you think your pup is ready, make sure to keep a leash nearby just in case he gets too excited. Some pups need further training, whether you’re getting a new furry friend or not. Check out dog training sydney for more information. Before you adopt your new pup, ask the foster parents or adoption center if they were cat tested. Before adoption, each dog is put to the cat test. 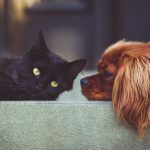 This is a simple test to see how well a dog interacts with and around cats. If a dog seems uninterested in their carrier, they’re likely to get along with them. If the dog is obsessed and won’t leave the carrier alone, they likely won’t. Find out how your new pup did during the cat test before bringing them home. Cats and dogs getting along isn’t easy. While some may take patience, others only need you to raise them together. Keep in mind there are no guarantees to get them to get along. But if you follow this guide, hopefully, your cat and dog will be best friends. 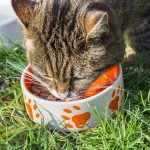 To learn more fun facts about cats or just for more information, visit our website!